In 2017, we followed up on that epic lead response study with an experiment of our own, and tested the response times of 433 sales teams. 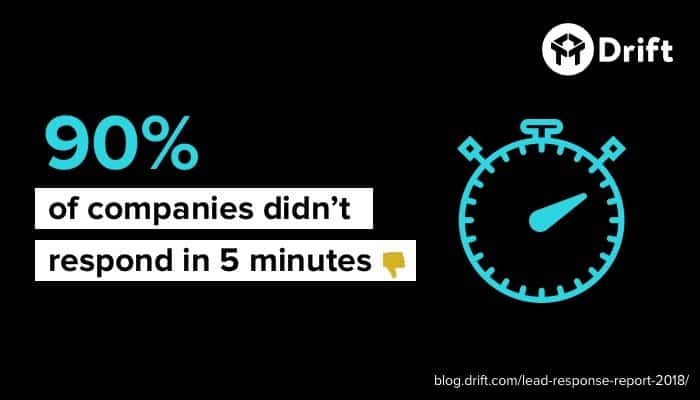 Through our research, we discovered that only 7% of B2B companies were responding to leads in five minutes or less. We also surveyed whether or not these companies used tools like live chat to connect with leads in real-time on their website. 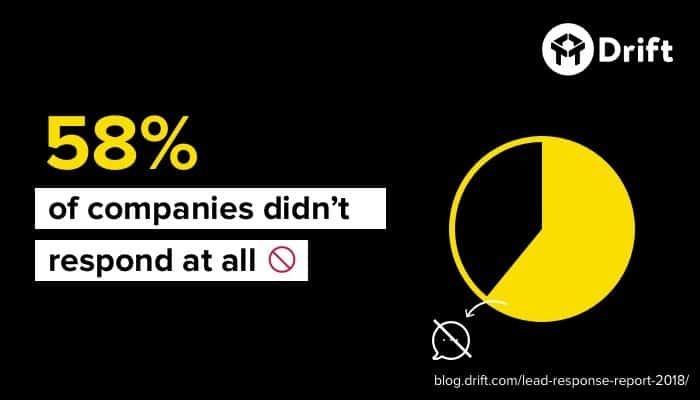 To our surprise, we discovered that 86% of all companies weren’t using chat or messaging tools to assist them in hitting that coveted five minute mark.